Capitol Records released their second and final Beatles EP on this day. 4 By The Beatles had the catalogue number Capitol R-5365, and was released only in mono. 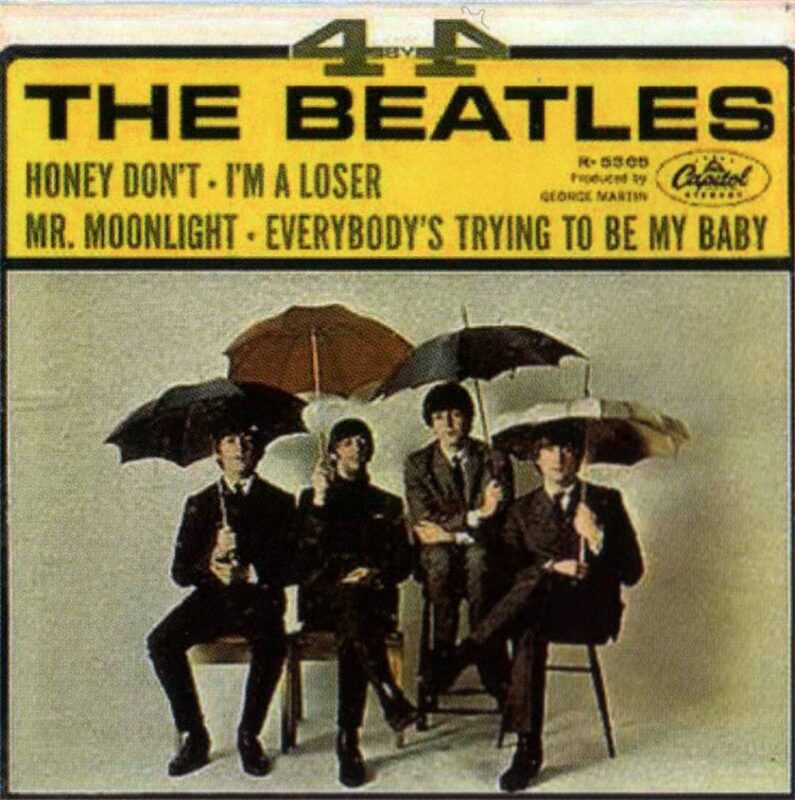 The EP contained four songs, all from the albums Beatles For Sale (UK) and Beatles '65 (US): Honey Don't, I'm A Loser, Mr Moonlight and Everybody's Trying To Be My Baby. Capitol had previously issued the similarly-titled EP Four By The Beatles on 11 May 1964. The "4 By" series was intended to showcase four songs by an artist which wouldn't otherwise be issued as singles, although the demand for EPs in the United States proved limited and the idea was soon dropped.